We offer comprehensive heating solutions that allow you to minimize downtime and drive down monthly energy costs. Our highly trained and certified union technicians will safely and effectively keep your heating systems running smoothly through Kenosha’s coldest winters. 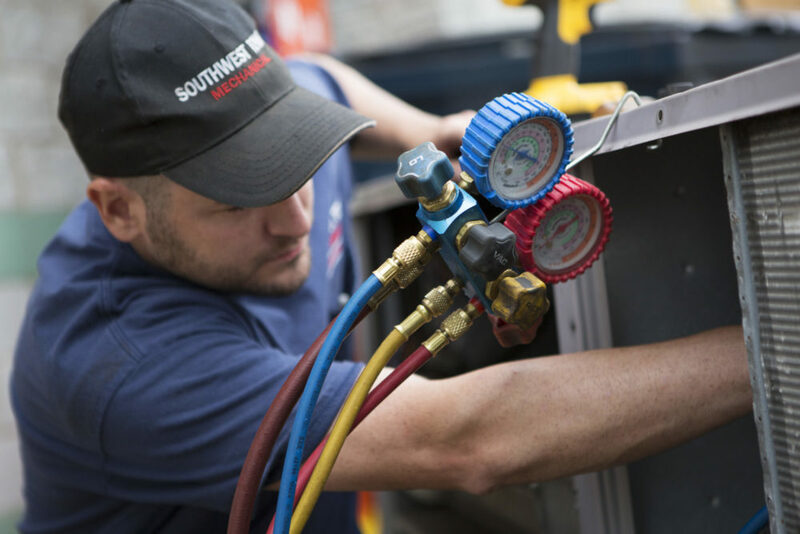 We offer comprehensive commercial and industrial heating services, including replacements, repairs, and maintenance to meet the needs of your business. To learn more about our heating services in Kenosha and the surrounding areas, give us a call at 262-671-4012 or contact us online today. We design and install environmentally friendly, energy-efficient heating systems for industrial and commercial applications in the Kenosha area. Our state-of-the-art heating systems will help you save on your monthly energy bills and keep your building warm and comfortable for your employees during our sometimes cold, brutal winters. We install steam, hot water, gas, and electric industrial and commercial heating systems. Our heating systems include boilers and burners, infra-red and radiant, and unit and duct heaters. They are available for all types of commercial and industrial properties throughout Wisconsin, including manufacturing facilities, food and printing plants, movie theaters, hotels, medical facilities, and more. Need commericial heating replacement or new installation in the Kenosha area? Contact the team at AccuTemp Mechanical today to learn more about our heating services in Kenosha! If your industrial or commercial heating systems are not operating correctly or efficiently, we can provide you with cost-effective heating repair services. We offer prompt and efficient repairs on all types of commercial and industrial heating systems for businesses throughout Kenosha, including steam, hot water, gas, and electric systems. When you need to maintain, replace, or repair your industrial or commercial heating systems, our trained and certified union technicians are here to help. We can help you quickly get to the root of any problem and implement the most economical solutions for your building’s unique heating needs. Have questions about our commercial heating solutions? Contact us to schedule your appointment or call 262-671-4012 for questions about our heating services in Kenosha!